In the run-up to the 2017 Photo Plus Expo trade show in New York, Sony gathered journalists for the announcement of the Sony a7R III. While the name indicates an incremental update from the a7R II, the technological advances applied to this camera make it feel more like a hybrid of the a7R II and the a9. 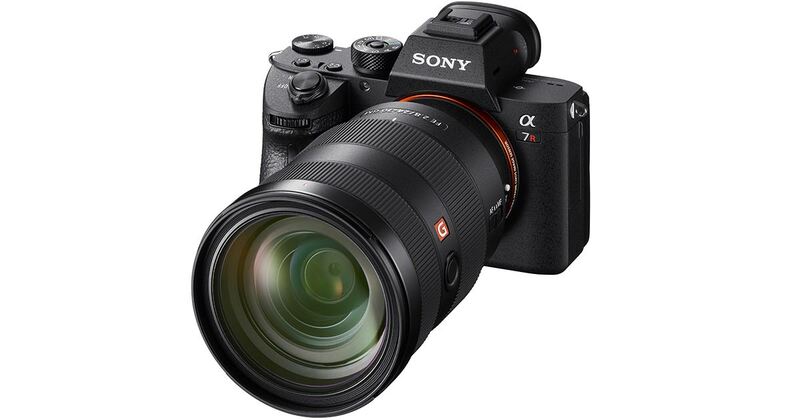 If Sony used different naming conventions, one could imagine this being called an a8, as it feels as if it bridges the two full-frame platforms. 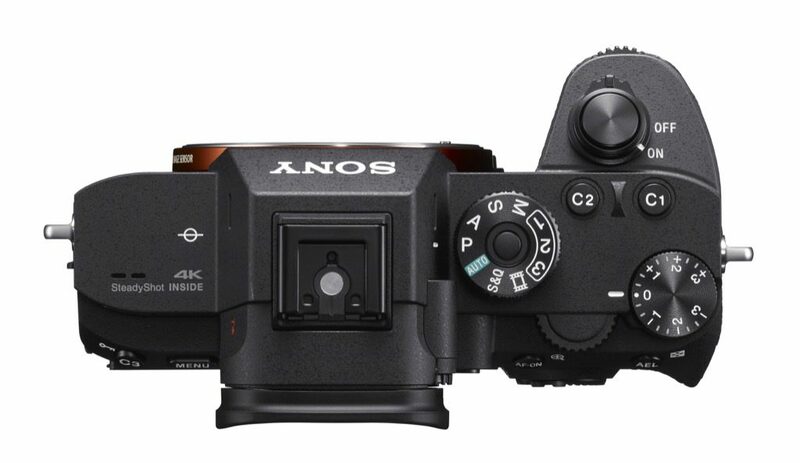 The sensor remains at 42.4MP and is identical to that in the a7R II, though Sony says advances in the processor and other components allows them to eek more out of the sensor, while the camera functionality and body have seen updates to almost every other facet of operations. Sony also announced the FE-105mm F4 G OSS, and pre-announced a new 400 f/2.8, which I’ll talk about after the a7R III. We will be providing images of the a7R III from a media event Wednesday AM, and sample images from the a7R III on Thursday. The sensor in the a7R III is now capable of capturing 15-stops of dynamic range (versus the 14-stops for the a7R II) and has an ISO range of 100 to 32000 (up from 25600 on the a7R II). The camera also has what Mark Weir, Senior Manager, Technology at Sony Electronics described to us as a “quantum leap” in autofocus from the a7R II, largely from technology adapted from the a9. Using either the mechanical or electronic shutter in the a7R III, it’s possible to capture up to 10 frames per second, with full autofocus and auto exposure. Eye detect autofocus has doubled in speed compared to the a7R II, as has overall subject AF locking and tracking using Sony’s 4D AF system. There are 399 phase-detect points on the a7R III, covering about 47% of the sesnor area and the contrast detection points around 68% of the sensor. The number of contrast detection points has increased from 25 to 425. That’s a pretty astounding increase in AF coverag and Sony refereed to this as “tenacious autofocus.” Focus is reliable down to -3EV. Essentially, this gives the Sony a7R III “most of the focusing features of the a9 from a feature standpoint, but not the same number of calculations per second. That is to say, the a9 is processing data at 60fps, thanks to the integrated on-sensor circuitry in the stacked CMOS design that’s part of the a9 sensor. Shooting with either the mechanical or electronic shutter, the camera can capture in 10fps, and 8fps with continuous live view on the LCD. At 10fps you’re still able to shoot using the LCD screen, but the display shows last frame captured, not live data—though at that rate we’ve been told the human brain has a hard time discerning the diference. The buffer on the a7R III is around 87 shots in compressed RAW (compressed raw is recorded at 12-bits), and non-compressed raw records to about 28 frames. The Sony a7R III has a completely new shutter compared to the a7R II, which is designed to reduce shutter shock (the vibration caused by actuation of the shutter) and the electronic shutter can obviously completely eliminate that vibration. The new shutter and enhancements to the 5-Axis Image Stabilization now give the a7R III up to 5.5 stops of image stabilization. The Sony a7R III uses a technology called pixel shift in order to capture a 169.9MP image with full-color recording at each frame. Essentially the camera takes an image, moves the sensor both horizontally and vertically at the 3 micro-meter level in order to have a red green and blue pixel reading at each of the sensor’s effective imaging area. The resulting composite is a 42.4MP sensor with much better color rendition and a dramatic reduction in artifacts. Common digital imaging sensor issues like chromatic aberration and edge softness are caused by the processing needed to take a single pixel color reading and interpolate all three colors from neighboring pixels. Obviously, this is a technique that’s best used in architecture and other still-life photography, and there’s a .5 of a second minimum time between frames required to use thei Pixel Shift mode, since the sensor has to move to the next position and then come to a stop in order to prevent motion blur. The sample images we saw had much greater perceived sharpness, as the interpolation of the different pixels has a pronounced effect on sharpness. This isn’t the first camera to use a pixel shifting technology to create images with more detail, though it’s Sony’s first use of the technology. There are a number of enhancements to the a7R III borrowed from the a9, though I think the one I’m happiest to see is the addition of a focus selection joystick to the back of the camera. While Sony’s subject tracking is excellent, in a lot of shooting conditions having a multi-selector joystick is just better. The camera also uses the LCD screen for touch AF during video and still capture, though not a full touchscreen yet for menu controls. We’ve never gotten the engineers to give us a good explanation of why a camera can give us a touchscreen for AF selection but not for menus, though I suspect it’s because menu selection isn’t really by position on the screen, but by clicks of a control dial. Move the dial two clicks to the right and the LCD screen displays moving over two tabs, but that’s just the visual output of the underlying system. The battery of the Sony a9 has found a home inside he a7R III, and provides a doubling of capacity. That doesn’t translate to double the shots of the a7R II, because the camera is doing more processing now, but Sony rates the Z-type battery from the a9 as providing about 650 shots when using the LCD and around 530 when using the EVF. Speaking of EVF, the a7R III sports a Quad GA 3.69 million dot display. To extend the capacity, the a7R III can use the same grip as the Sony a9, which has slots for two batteries, as well as vertical shooting controls. There are now dual SD card slots in the camera, one UHS-I and one UHS-II, also directly imported from the a9. For photographers working in a studio environment, the camera now comes with a PC-sync terminal to trigger studio packs. In a “I didn’t know I wanted this until I heard about it” update, the Sony a7R III has both a USB-C and a Micro USB port. It’s possible to pull power for the camera form the USB-C while operating it. The camera is dust-and-moisture-resistant, though not waterproof. The a7R III is one of the few cameras in the world with the ability to do full-frame 4K video with no pixel binning. The video is oversampled at 5K and written out as 4K. The camera can also record in Super35 format. 4K records at 24p and 30p (not 60p) and HD can record up to 120fps. There are also high and slow speed capture modes. 4K video can be recorded in S-LOG3 with 14-stops of dynamic range, and a new HLG hybrid mode will allow for in-camera HDR shooting, and that footage can be viewed on a Sony HDR set during recording. The camera records in the XAVCS codec. Rolling shutter has been reduced over the a7R II, though doesn’t match that of the a9, thanks to the much-faster readout times of the stacked CMOS sensor. Video, naturally, uses the full image-stabilization and AF technology, allowing for eye-detect and subject-detect tracking. The a7R III will be available for $3299 (the same price as the original a7R II) and will ship November 29th, with presales beginning October 26th. For more information, see sony.com and our follow-up coveage on our Blog section. Sony is also announcing the Sony 24-105mm F4 G OSS lens, bringing the number of full-frame E-mount lenses to 23. The new 24-105mm has a silent electromagnetic drive, making it ideal for video work. The lens is comprised of 3 ED glass elements (17 total elements) in 14 groups, including aspherical lenses. Zoom lenses with a wide range from wide-angle to telephoto traditionally have poor sharpness at the edges, especially at the telephoto range. The MTF curves (the graphs depicting the sharpness at different points on the lens) that Sony showed are much better at the edges than some competing glass, though we’ll want to take this lens for a spin to evaluate it. The 24-105mm F4 G OSS Lens weighs in at 633 grams, making it the lightest lenses in the class. The lens will ship November 30 with a US price of $1299. Finally, Sony is pre-announcing a 400mm F2.8 GM lens, something that’s been eagerly anticipated after the release of the sports-capable a9. No details were given, aside from the fact that this will be a G Master lens, and it will arrive in the summer of 2018. NEW YORK, Oct. 25, 2017 – Sony Electronics, a worldwide leader in digital imaging and the world’s largest image sensor manufacturer, has today introduced an impressive addition to their full-frame mirrorless camera lineup, the α7R III (model ILCE-7RM3). 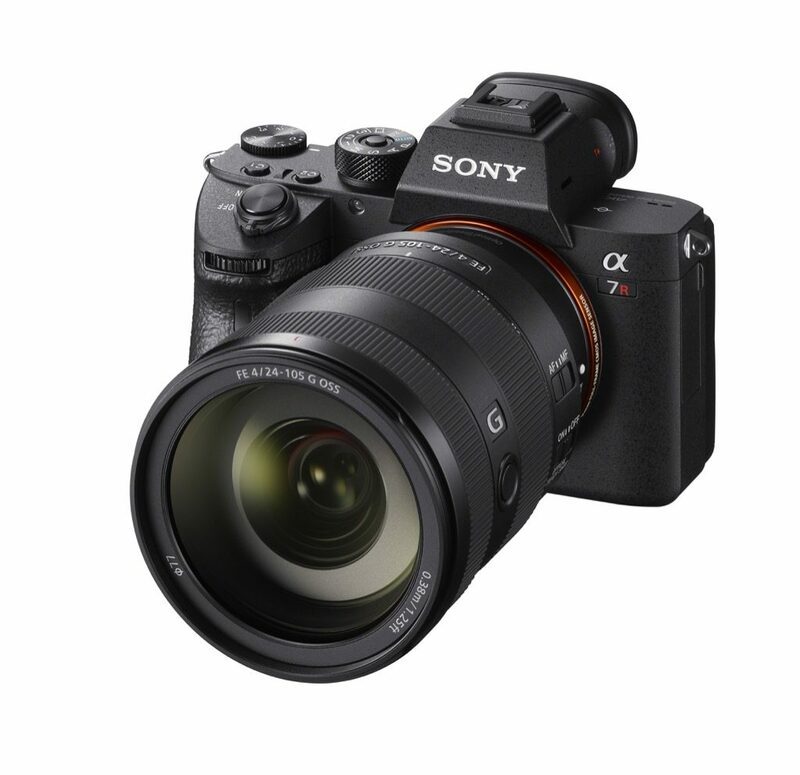 Thanks to an evolutionary leap in image processing power and efficiency, the new α7R III combines a high-resolution 42.4 MP1 back-illuminated Exmor R CMOS image sensor with impressive shooting speeds at up to 10 fps2 with full AF/AE tracking, as well as beautiful image and 4K6 video quality, wide 15-stop9 dynamic range, high sensitivity with noise reduction of almost a full stop4 and more. With these immense capabilities and a compact, lightweight body, it’s an extremely versatile tool for photographers, videographers, multi-media creators and all other types of professionals that demand reliability, flexibility and versatility. The 42.4MP high-resolution, back-illuminated Exmor R CMOS image sensor utilizes a gapless on-chip lens design and AR (anti-reflective) coating on the surface of the sensor’s seal glass to dramatically improve light collection efficiency, resulting in high sensitivity with low-noise performance and wide dynamic range. Sony’s new α7R III also features a new front-end LSI that effectively doubles4 the readout speed of the image sensor, as well as an updated BIONZ X™ processing-engine that boosts processing speed by approximately 1.8 times compared to the α7R II. These powerful components work together to allow the camera to shoot at faster speeds while also enabling its impressive ISO range of 100 – 32000 (expandable to ISO 50 – 102400 for still images) and massive 15-stop9 dynamic range at low sensitivity settings. This ensures outstanding overall performance at all settings and in all shooting conditions. This new full-frame model was built without an optical low pass filter to maximize resolution, while also having the ability to output 14 bit RAW format even when shooting in silent or continuous mode. 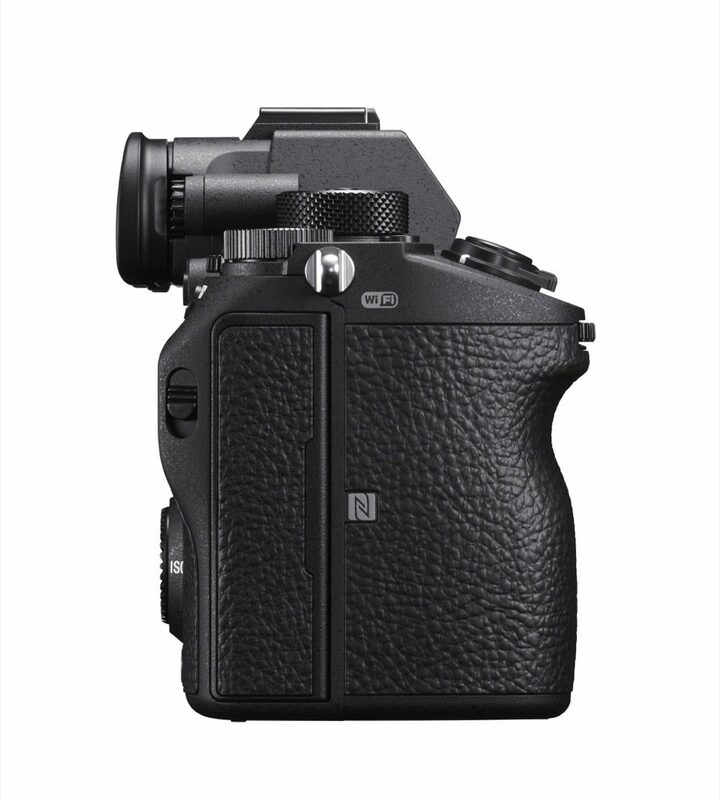 The camera is equipped with an innovative 5-axis optical image stabilization system that has been fine-tuned to support its high-resolution shooting capacity, resulting in a 5.5 step5 shutter speed advantage, the world’s highest10 compensation performance for an image stabilization system. There is also a new low-vibration shutter that reduces vibration and image blur in all modes, including the high speed 10 fps shooting, as well as several advancements in accurate color reproductions of skin tones. The innovative new α7R III full-frame mirrorless camera is equipped with a refined image processing system that allows it to shoot full 42.4MP images at up to 10 fps with continuous, accurate AF/AE tracking for up to 76 JPEG / RAW images or 28 uncompressed RAW images11. This high speed 10 fps mode is available with either a mechanical shutter or a completely silent shooting12, adding to the immense flexibility of the camera. The camera can also shoot continuously at up to 8 fps13 in live view mode with minimal lag in the viewfinder or LCD screen. These high speed options ensure that fast moving subjects can be captured with extreme accuracy and incredible image detail. For added convenience, while large groups of burst images are being written to the memory card, many of the cameras key functions are operable, including access to the ‘Fn’ (Function) and ‘Menu’ buttons, image playback and several other menus and parameters14 including image rating and other functions that facilitate on-location image sorting. Additionally, if there is fluorescent or artificial lighting present in a shooting environment, users can activate the Anti-flicker15 function to allow the α7R III to automatically detect frequency of the lighting and time the shutter to minimize its effect on images being captured. This minimizes any exposure or color anomalies that can sometimes occur at the top and bottom of images shot at high shutter speeds. The upgraded focusing system of the α7R III is comprised of 399 focal-plane phase-detection AF points that cover approximately 68% of the image area in both the horizontal and vertical directions. There is also 425 contrast AF points, an increase of 400 points compared to the α7R II. This advanced system delivers AF acquisition in about half the time as the α7R II in low-light conditions, with tracking that is approximately 2 times more accurate as well. The acclaimed Eye AF feature is also approximately 2 times more effective, and is available when utilizing Sony’s A-mount lenses with an adapter16. Additional improvements in focusing flexibility include AF availability in Focus Magnifier mode, focal-plane phase-detection AF support when using A-mount lenses17, an ‘AF On’ button, a multi-selector or ‘joystick’ for moving focusing points quickly, flexible touch focus functionality and much more. The new α7R III is exceptionally capable as a video camera, offering 4K (3840×2160 pixels) video recording across the full width of the full-frame image sensor. When shooting in Super 35mm format, the camera uses full pixel readout without pixel binning to collect 5K18 of information, oversampling it to produce high quality 4K footage with exceptional detail and depth. A new HLG (Hybrid Log-Gamma) 19 is available on the α7R III that supports an Instant HDR workflow, allowing HDR (HLG) compatible TV’s to playback beautiful, true-to-life 4K HDR imagery. Further, both S-Log2 and S-Log3 are available for increased color grading flexibility. The camera can also record Full HD at 120 fps at up to 100 Mbps6, allowing footage to be reviewed and eventually edited into 4x or 5x slow motion20 video files in Full HD resolution with AF tracking. Sony’s newest full-frame camera is equipped with a variety of enhanced capabilities that give it a true professional operational style. These include dual media slots, with support in one slot for UHS-II type SD memory cards. Users have a variety of options for storing their content, including separate JPEG / RAW recording, separate still image / movie recording, relay recording and more. 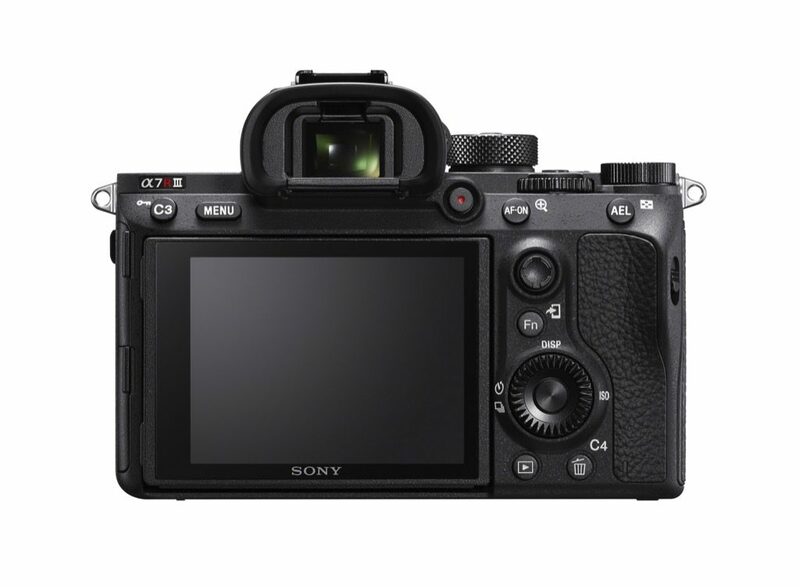 Battery life has been greatly extended as well, as the new camera utilizes Sony’s Z series battery that have approximately 2.2 times the capacity of the W series battery utilized in the α7R II. The α7R III features an upgraded high-resolution, high-luminance Quad-VGA OLED Tru-Finder™ with approximately 3,686k dots for extremely accurate, true-to-life detail reproduction. The Tru-Finder, also found in the acclaimed Sony α9 camera, utilizes a ZEISS® T* Coating to greatly reduce reflections, and has a fluorine coating on the outer lens that repels dirt. It also has a customizable frame rate, with options of either 60 fps or 120 fps21 to best match the action. The LCD screen has been upgraded as well, with a resolution of 1.44M dots and WhiteMagic™ technology that improves viewing in bright, outdoor conditions. “Standard” or “High” display quality settings are also available for both the viewfinder and monitor as well. “High” takes advantage of the large amount of data read from the 42.4MP sensor to provide extra fine viewfinder and monitor displays for a more natural view. The new camera also offers a multi-selector joystick that provides a fast, efficient way to shift focus points, as well as an ‘AF ON’ button to activate autofocus when shooting stills or movies. Also making its debut on the versatile α7R III is a new Pixel Shift Multi Shooting mode, which takes full advantage of the advanced 5-axis optical in-body stabilization to create beautiful true-to-life, super-high resolution composite images. In this mode, the camera precisely shifts the sensor in 1-pixel increments to capture four separate pixel-shifted images containing a total of approximately 169.6 MP22 of image data. These four images can be composited together and processed utilizing the new “Imaging Edge” software suite. This ultimately results in a still image with overwhelming resolution and an unprecedented level of color accuracy, and is ideal for photographing architecture, art or any other still life photography subject with many intricate details and colors. The Sony α7R III Full-frame Interchangeable Lens Camera will ship this November for about $3,200 US and $4,000 CA. It will be sold at a variety of Sony authorized dealers throughout North America. A variety of exclusive stories and exciting new content shot with the new α7R III camera and other Sony α products can be found at www.alphauniverse.com, a site built to educate and inspire all fans and customers of the Sony α brand. The new FE 24-105mm F4 G OSS Standard Zoom Lens will ship this November for about $1,300 US and $1,700 CA. A variety of exclusive stories and exciting new content shot with the new lenses and other Sony α™ products can be found at www.alphauniverse.com, Sony’s community site built to educate, inspire and showcase all fans and customers of the Sony α brand. NEW YORK, Oct. 25, 2017 – Sony Electronics, a worldwide leader in digital imaging and the world’s largest image sensor manufacturer, has today announced the development of the long-awaited FE 400mm F2.8 GM OSS Super-Telephoto lens, with a target launch date in Summer 2018. 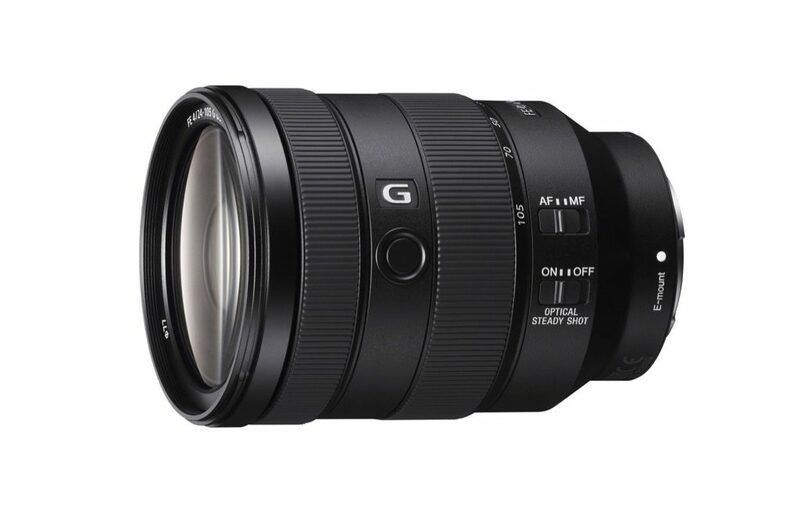 The new lens will feature the incredible high-resolution and spectacularly beautiful bokeh of Sony’s acclaimed line of flagship G Master™ series lenses, while also offering a far-reaching 400mm focal length and F2.8 large aperture. This combination will deliver a new elevated shooting experience for all professional sports, news and wildlife photographers looking to capture all of the decisive moments with higher image quality. Sony will continue to evolve their lens lineup in order to meet the demands of all types of photographers, videographers and multi-media creators, with many different offerings to maximize the power of the innovative α™ camera lineup. Additional details and specifications on the new FE 400mm F2.8 GM OSS Super-Telephoto Lens will be released at a later date. A variety of exclusive stories and exciting new content focused on Sony’s extensive lineup of digital imaging products can be found at www.alphauniverse.com , Sony’s community site built to educate, inspire and showcase all fans and customers of the Sony α brand.